Julian Treasure delves into the world of sound. He takes the audience through the world we live in and more importantly put up with. His examples bring to life some of the noise we live with but do nothing about. It seems while we want bigger buildings we continually overlook areas that are fundamentally important to our quality of life. There is a common misnomer that if you want quality, it costs. This is only skin deep I fear, as one example he provides shows clearly, with a little more thought and understanding at an earlier stage then a costly redo could have been prevented. More importantly he looks to widen the scope of design to include the emotional connection we have with the finished product and how we view its success. We have Urban Planners, but where are the Urban Sound Planners? Do you think of sound when thinking of design or do you think it is just for specialist environments like a concert hall or cinema when designing? Let us know your thoughts on ‘invisible architecture’ in the comments below. 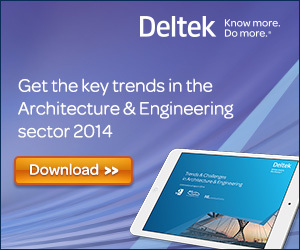 Categories: Architect, environment, Video | Tags: design, senses, Sound | Permalink.